Around the turn of the year (2008-09), The Brooklyn Rail ran Georges-Olivier Châteaureynaud’s story “The Only Mortal.” At the time, it was the author’s fifth published story in English, before the 2010 collection A Life on Paper. Now, as the Rail prepares to release its second anthology of fiction selected from its pages, Châteaureynaud’s story features in a table of contents where he’d be proud to be found: Ionesco, Ryunosuke, Pessoa, Cortazar, de Sade, Walser, Luc Lang, Emmanuel Bove… And I find myself among translators I’m honored to have shared column inches with: Alyson Waters, Geoffrey Brock, Susan Bernofsky, playwright Caridad Svich, Donald Nicholson-Smith, the late Richard Seaver… Not to mention original fiction by Bukowski, Douglas Glover, Laird Hunt, Shelley Jackson, and comics by Tom Motley. Assembled by Donald Breckenridge (with editorial assistance from Jen Zoble, Stefanie Sobelle, and Claudia Acevedo-Quiñones), this is nigh on 400 pages of awesomeness, and I salute them for producing not only a quality but a truly international volume. And all proceeds go toward sustaining the Rail as a progressive community, literary, and journalistic force. Why wait till the May release? Digital review copies are yours for the asking right now. Just leave a comment! 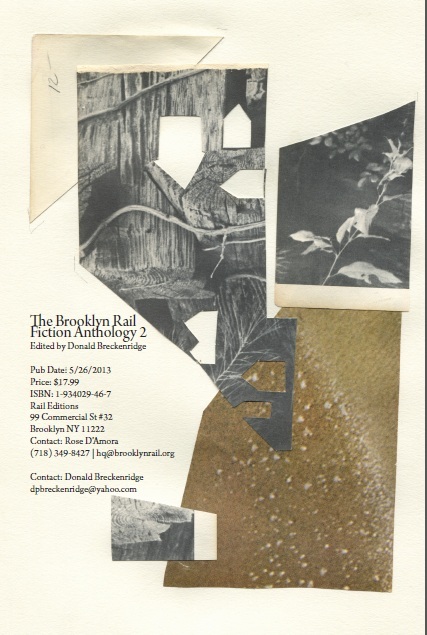 § 4 Responses to The Brooklyn Rail Fiction Anthology 2: Review Copies Now Available"
Looks like a great anthology. Happy to be sent a review copy, but I will also likely just buy a physical copy anyway. Damian! Been meaning to write you in thanks for all your continuing Châteaureynaud coverage. I’ll get those pdfs out to you guys. Hey, I’d love to read the e-version of this. Many thanks! You are currently reading The Brooklyn Rail Fiction Anthology 2: Review Copies Now Available at EDWARD GAUVIN.